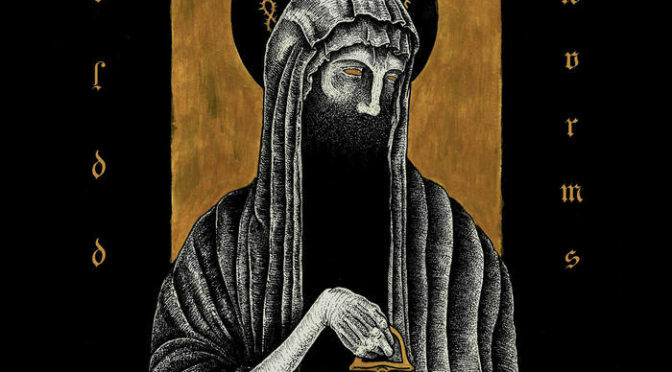 Sounds converge in mysterious ways and inspired by ancient rituals and witchcraft, the band Oldd Wvrms crafts their own blend of crawling, creepy doom with post-rock affiliations. With ‘Codex Tenebris’ the band is unleashing their third album and it is one of a transformative nature. Oldd Wvrms has worked as a fourpiece for a longer time, but on this record continues as an instrumental three-piece. Always a bold gamble in a genre that often relies on vocalist theatrics to keep attention on the band. But after listening to their record, I have no concerns regarding the attractive value of Oldd Wvrms’ music. 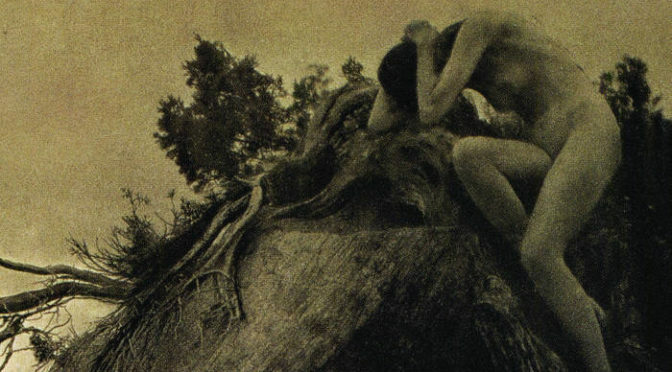 ‘A l’or, aux ombres et aux abîmes’similarly never looks for the intensity and overruling thunder you might find in bands like Amenra, but stays on the level of slithering, macabre fear. It’s like a good suspense movie, where you have no clue what it is that causes your sense of fright. Is it human, beast or something elder and more frightening? In their music, the band plays with the clashing of their instruments to evoke eruptive moments of tension and certain anxiety. But never, ever does it let go of the rope and keeps tensions high, as done on ‘Misère & Corde’. But there’s also a filmic quality to the music of Oldd Wvrms, like on ‘La vallée des tombes’. The percussion-heavy track is one to easily get lost in, as it evokes a certain trance in the listener with its strange push-pull effect in the sound. Yet it hammers away like no other towards the end. I have to say though, that ‘Fléau est son âme’ is the track that surprises me most, as it has some of that The Devil’s Blood magic going. The wrangled guitar sound, the peculiar tone drops and all that mixed in with the doomy sound of Oldd Wvrms. Love it. Witte Wieven refers to ghostly apparitions of wise women, their lamenting ghosts. They are incorporeal, but overwhelming when in presence and so is the music from Sarban and C. on this split. The duo has released one EP before, but ‘Vlucht’ is the first majorly grasped release by the band and it is a truly strong debut. 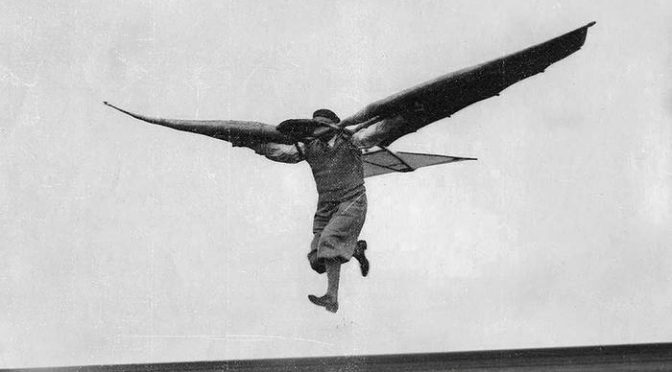 ‘Met beide benen in het niets’ is a good match with the cover, of a classical attempt at flight. The music is silky, tender at times, in particular when the vocals of C. are clean and in harmony with the tremolo riffing. Densely atmospheric, as falling into a warm bath, the music just flows on beautifully. Never rushing, never forceful, but always sounding natural and pleasant even at its most harsh and violent. Not to be confused with a different band named Reiziger, this band hails from the Netherlands and its name translates as ‘traveler’. It’s a project by N. from Laster and a much more liberal, freespun project, though also rather unknown till this point. Hopefully, the split changes this, because the contribution on this record is excellent in my humble opinion. Though the fundament of drums is heavy and dense, the melodies are free-soaring and tender. There is a sense of sophistication int he music. Yet, it also sounds cavernous and dark, shy of light and air. Never really bombastic, though there are some signs of grandeur in the underground realm. The nothingness here is bottomless and deep, cold and unforgiving, but even more so uncaring. Abyssal howls chase you through the darkness on a song that does not relent. Slidhr is on the rise and in its second incarnation it releases a destroyer of an album, titled ‘The Futile Fires of Man’. The band was founded by Joseph Deegan in Ireland but has come to fruition now through the land of fire and ice, where joined by fellow musicians, Slidhr is finding the form of the beast. Though Deegan still resides in Ireland, his cooperation with Bjarni Einarsson (Wormlust) and Garðar S. Jónsson, both active in Sinmara and Almyrkvi, the sound has become a complete expression. Mixing some death influences with the black gives the sound a meaty, heavy effect. The glossy cover of the vinyl also catches the attention and quite frankly, it’s a great record. So when we kick off with the title track, it instantly gets heated with high-pace drumming and rolling, rough sound of drum battery and ferocious vocals. It just barrels onward as well, never stopping, never a little lull or intermission, but furious black metal with commanding vocals that never tire. But that is probably what makes Slidhr so good to me, it’s a continuous flow in the most classical sense of black metal. I mean, listen to an old one by Emperor, Mayhem or Watain and that’s what you’ll get. In your face, unrelenting, but a bit more groove and fat on the bones, like Secrets of the Moon or even Mgła. ‘To Celestial Depths’ has these big, lurching guitar riffs, that seem to drag at your very soul. When you really listen to the sweeping tempest that follows, you can sense the rise and fall of the riffing, as it seems to build up to a mighty crescendo. But then the sea calms and sinks back, but there’s never a moment of ease in Slidhr’s music. It can be a boiling, explosive madness at times, like the fury-driven war drums of ‘Rise to the Dying’, with that harrowing intermezzo that only fans the flames further. ‘Through the Mouth of the Beast’ brings the whole run to a close with majestic grandeur and a sincere sense of falling deep into the abbyss. The music is slick, effective, yet also filled with brimming intensity and malice. A mighty finish to an album that’s hard to nail down, but easy to succumb to. Krummholz is an unlikely alliance of musicians from different countries in Africa. Victor Rosewrath from Vale of Amonition (Uganda), Seeker from Nelecc (Kenya) and Noktal who is a USA-born musician of Ethiopian/Djibouti descent. Together they’ve formed this project, which rapidly garnered attention from the Naturmacht Productions with their EP ‘Rooted in Despair’. 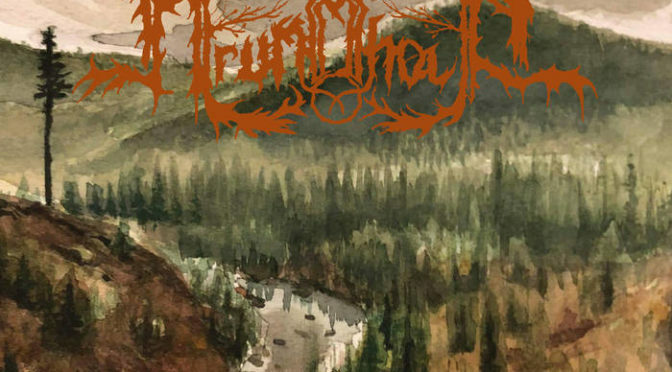 Krummholz, in fact, refers to the gnarly, bent trees found in high places and the cover art of the record depicts that. It’s a nod to the origin, the tundras and wild of East Africa. But also the deep connection to the land. This means you instantly submerge into the forest, with animal sounds and the babbling of a brook. 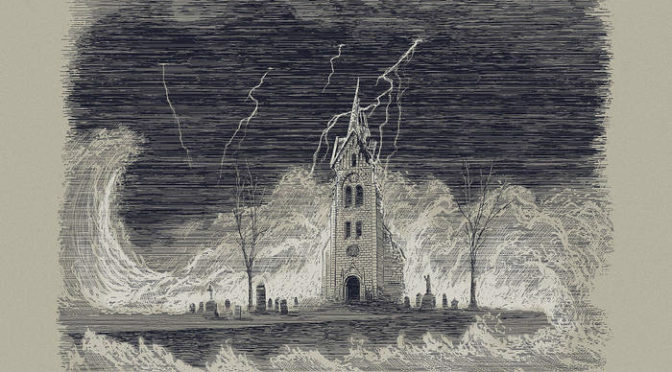 Mellow synth tones that help you sink down into the atmospheric black metal of the band. And then, ‘A Morning in the Autumn Forest’ launches into an epic flow of warm, sunny black metal. Think of Panopticon or Saor, but rather different. The howling vocals and surging riffs, the steady drumming, it all feels like that natural flow. On the second track, titled ‘To Father Worlds in the Bones of Ancient Solitude’, we hear a meandering piano, as again the music slowly unfolds, like flowers on a cold morning. In this song, we can clearly here, much like the first, the ambient black metal of Nelecc, but it comes to fruition thanks to the doomy, strong strides that make me think the hand of Rosewrath is larger in this song. The sonorous singing, reminiscent of the gothic atmospheres of My Dying Bride or Moonspell adds a layer of gloom to the whole experience. It completes a remarkably good debut EP, so let’s see what the future brings. I would much rather debate music than politics, but when it comes to the progressive message this may be the most punch-packing-package deal you can get. Ragana and Thou combine their strength for an exceptional split, titled ‘Let Our Names Be Forgotten’. Thou from Baton Rouge has been prolific since 2005 with a long string of top-notch releases and a clearly voiced message. Their latest full-length ‘Magus’ has landed them a show at Roadburn even as a next highlight. Ragana is a genre-crushing duo from Oakland, who have dubbed their music witch doom. Combining the best of ethereal vocals and mystery with crushing core elements, they’re a force. The opener ‘Inviolate’ opens with sensitivity and slow passages. It’s almost hauntingly beautiful, which makes the launch into screams even more powerful and hard-hitting on this short exertion by Ragana. The band has a penchant for a sort of witchcore or witch doom, full of seductively beautiful music and harrowing bursts to contrast. I’m making up that term as I go, but it also refers to the Baltic origin of the name. That aspect returns on ‘The Void’, with vocals that have that desperate tone you hear in the work of Chelsea Wolfe and the like. The doomy riffing, the totured screams, it goes to the marrow of your bones with Ragana, as if clawing towards ‘The Sun’. A particular spin on the classic, most slowly progressing doom legends. It’s magnificent. But Thou is no lesser force obviously, and ‘The Fool Who Thought He was King’ is an instant demonstration of that. Vitriolic screamed vocals over crunchy doom, with that right level of distortion and melodic mournfulness. A dirge-like texture, that weaves onwards as the voice snaps at the listener. The song than starts unwinding into a wavery, post-rock track, that drags the listener along as everything seems to slow down into a sticky, pulling motion. ‘Death to the King and all His Loyal subjects’ closes the record, with a threatening, ominous note. It’s a gritty, drudging tune that drags you down and down with it. We definitely end on a great not here with Thou. Excellent. Here they are again, the all-star prog black metallers from The Antichrist Imperium, who made waves with their saucy album cover on the self-titled 2015 debut. 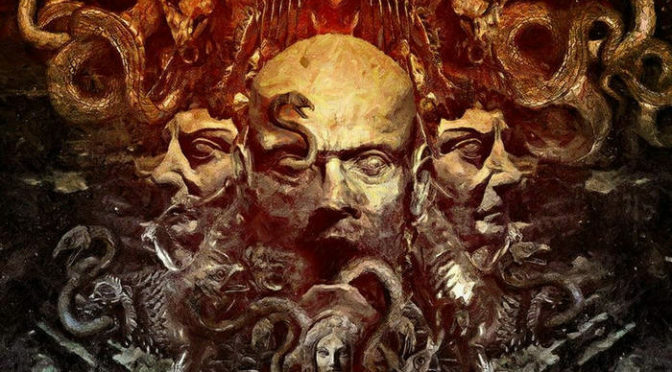 With ‘Volume II: Every Tongue Shall Praise Satan’, they return to strength and deliver a brimming ball of dark, extreme metal to the forefront that will probably rock many socks of and so forth, because yes… it’s as good as you’d hope. Featuring members who play or have played in entities like Akercocke, My Dying Bride, The Berzerker, Voices and much, much more, you know that there’s some talent in there. It would appear this is also the whole pile of influences that shape the sound of this project, which really feels hard to pin down with anything but the word extreme. So, let’s get into it then. Opening with thick, punching drums that reek of death metal, the band also picks up a melodic grandeur you’ll find in the more epic melo-death and black metal bands. Ominous intermezzo’s fall in the gaps, before guttural barks unleash again on the listener. From ‘The Dreadfull Hosanna’ onwards, the band never shies away from pure, unadulterated force and complexity with guitars that cut like knives and flutter like butterflies… with wings made out of … knives? I mean, it’s proggy, yet brutal. On ‘Liturgy of the Iconoclast / Blood Sacrifice’ we actually go in all directions. From dramatic prog passages to bludgeoning death metal destruction, with vigorous riffing. The cool, smooth complex parts show an aptitude for the bigger narrative, to really paint images with the music, which the band does very well. The playful use of the vocals is definitely also an added quality of Sam Bean and Sam Loyens, who bounce of each other like two voice actors at times. Like ‘Metallica covering the live half of Pink Floyd‘s 1969 album Ummagumma.’ That’s how GlerAkur, the project moniker of Elvar Geir Sævarsson, has been described. Working as the sound engineer at the National Theater of Iceland, he takes inspiration from drone, post rock and ambient, yet also far heavier stuff. ‘The Mountains Are Beautiful Now’ is the first full-length, following a 2016 EP, that was already nominated for the Icelandic Kraumur Award. This massive work features four guitars, two drummers and was recorded in the theatre basement as music for the play ‘Fjalla-Eyvindur & Halla’ by Jóhann Sigurjónsson. Have you ever stood on a high hill or even a mountaintop, watching the snow-covered peaks as far as the eye can see? Because that is what awaits you from the first notes of ‘Augun Opin’. A slowly swelling piece of majesty that hardly knows an equal, with the humming of the earth, the cracking of ice and sonorous beauty of the void beyond. The bludgeoning sound of ‘Can’t You Wait’ and distant singing is a particular experience. It is not unfamiliar for those who enjoy a good bit of black metal or doom where the mystique and splendor of the unknown are expressed. Repetitive, yet featuring a meandering melody, woven into its sonic density, it captivates you. Setting you to dream of mountains. The song ‘HallAlone’ feels like an intermezzo, with gentle, ambient tunes that merge into grand post-rock with that melancholy so familiar with the genre. 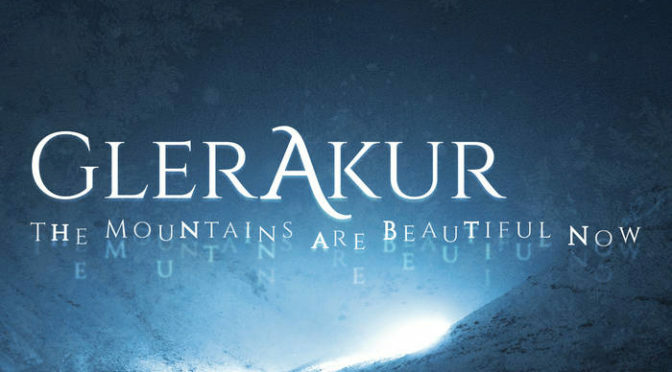 A clarity can be found in the sound of GlerAkur, that doesn’t really know any equals. It just flows on its own, natural pace. Massive as mountains, but with all those refined details that come with it, this piece of music becomes a piece of beauty. A work of of untarnished nature, shaped and formed not by endless tinkering, but the elements. Final track ‘Fagurt er á fjöllunum núna’ is gentle. Guitar picking, like drops, resounds. It is where the intricacies of the music are really shown again. An ‘Alptraum’ is a nightmare, a bad dream. This makes an ‘Alptraumgänger’ one that travels these nightmare-realms, lives in their dark and surreal realities. For Schrat, this is a place intertwined with the myth of nature, the old spirits and darkness of death, at least that’s the story conveyed on their latest album. The band, from the south of the German lands, has been around for a number of 15 years and released a number of classic black metal albums. Their attire is much as you would expect from a black metal band, but their leanings seem to be towards a more pagan, natural mythology. Yet, this is filled with harrowing feelings and desolation. Uncanny laughter greets you on the intro, afore the black metal blast wave simply blows over you. This is nothing but the all-consuming fire of guitars, drums, and base. You find yourself dragged into the nightmare realm of Schrat on the overwhelming title track. t a blistering pace we run screaming through their realm with the high-paced tunes, that hold a sound that seems to surround you like a dense and dark forest. The barking screams of Dragg cut through anything and always manage to find you on ‘Gräberland’. There’s definitely something distinctive about Schrat as well. They may relish the traditional black metal sound, but it lacks the cold and clamour of the more northern bands. There’s a simple immersion by overwhelming to the sound. Who knows, it might be the Augsburg environment and it’s geographic location that shapes songs like ‘Wolf ist erwacht, Adams Sohn zerfetzt’, which has a surprisingly rocking riff going on. With a middle-of-album outro and intro, it’s like a whole different record a moment later. On ‘Knochenkult’, we turn the corner to a more stripped down, raw sound. Taking up a mid-pace thread with a punky beat, the gritty and dirty side of Schrat comes out in the remaining tracks. Particularly worth checking out is the buzzsaw-driven ‘Kriegsgericht’, with mighty sneers and growls on the vocals. 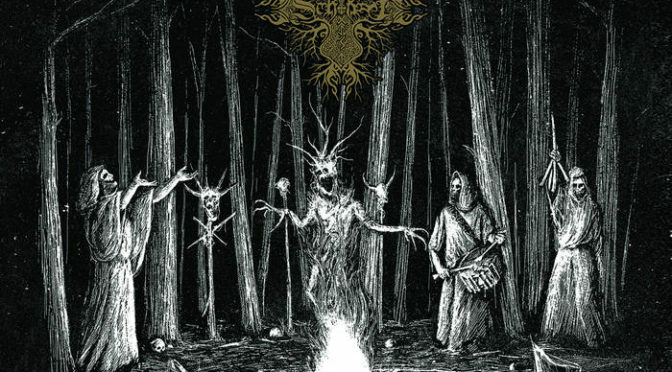 Schrat delivers an excellent burst of black metal on this release, well worth giving a spin. I suppose it’s a first to really go underground with the band Voltumna, who are drawing their inspiration from the ancient Etruscans. The mysterious civilization was eclipsed by the Romans but left a peculiar and obscured footprint on Italy. This album is dedicated to the Dodecapoli, the 12 old cities of the Etruscans. Wizardry, mythology and foggy history are what have been driving Voltumna for a couple of years now. With guest performances from Christian Borchi (Stormlord) and Anna Menicheschi on vocals and Thursen (Wolfingar) on ancient Italian instruments, the band aims to catch a shred of the past. Voltumna plays a style, that reaks of old death metal, but holds on to its crisp vitality thanks to the smooth production. The sparse use of synths and other instruments helps with that on tracks like ‘Reading The Flames’, which spark the imagination of the ancient times. Haruspex on guitars, lets them weep and squeal at every opening, where Zilath Meklhum needs to take a breath with his biting and ghoulish vocals. The mentioned odd instruments create a special vibe. For example, the song Fanum Voltumnae that moves into traditional sounds for a particular ambiance. These are mere intermissions though and while some peculiar movements are embedded in their music, all over a pretty solid and straight served piece of musical violence. Particular to the sound is the thunderous rhythm section, that hits it hard from start to finish. Bass player Fulgurator delivers excellently and Augur Veii hits the drums as if he intends to destroy them. The band Friisk is very much steeped in the Frisian sound and makes me think of bands like Kjeld from the Dutch parts. Members have previously been active in the group Friesenblut, so as you may be able to tell, it goes deep for these guys. This is their debut and I’m very excited to hear it. After a brief intro ‘Flut’, we instantly address the Nordic roots with ‘ ‘ ‘Ægir’. 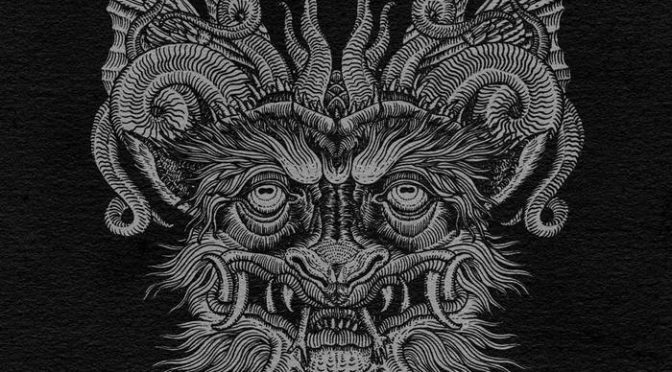 A piece of stampeding, roaring black metal, with a continuous rampaging rhythm and those screams and shouts above the turmoil, colliding with he sonic chaos. But the band also knows their subtleties, as the intro of the title track betrays. But soon we launch in typical Nordic riffage, where the band harkens to the Norwegian tradition more and more. I think, after listening to this record for a bit, that it is a typical hybrid sound that emerges, which I feel is very typical for this part of the world (including the Netherlands here actually). The bellowing vocals, the flat flow of the song, the immersion in a sea of gray, it sounds like the land in a way. One of the highlights of the record is the track ‘Dämmerung’. An eight-minute epic, with big emotional movements and vocals that are clawing and grasping for the light. Every bit of tremolo riffing is rife with that sense of doom and that is what makes the track exceptionally strong. ‘Kein Heiland’ then merely has to offer a final swing of the axe to finish the album with another classic sounding hymn to the sees in best black metal fashion. Friisk may be a new band on the block, but those who love their metal traditionally and seeped with tradition should give these guys a listen. You’ll not be disappointed.